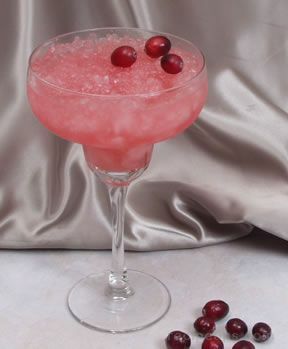 Treat your guests with this delicious slushy cocktail at your holiday celebrations. 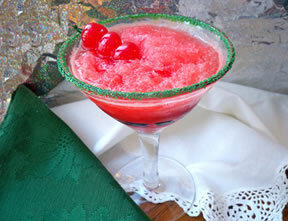 It will add a festive touch to any special occasion. 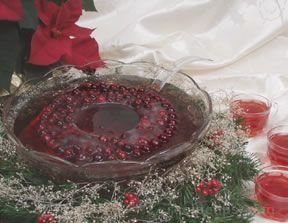 Remove the water and sugar mixture from the heat and add the Jell-O; stir until dissolved. Pour into a large freezable container (a 5 quart plastic ice cream pail works well). Add the Hawaiian Punch, lemon juice, and vodka; stir to mix. Place in the freezer. When the mixture is frozen it is ready to serve. It should be soft enough to scrape and scoop into a glass. If it is hard to scoop, allow it to set out at room temperature for a couple of minutes before serving. 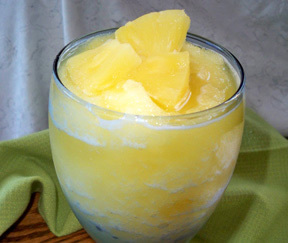 Add to a cocktail glass until it is 1/2 to 2/3 full of the frozen slush. Fill the remainder of the glass with Sprite. Stir to mix and serve. "We made these for our New Year's Eve Party. They were so yummy! They would make a great cocktail to serve around the pool on a hot summer day."